The intuitive process is not limited to painting. You can “trust your gut” in ever aspect of your day. When I came to Elephant Butte Lake Artist Retreat, I brought almost all my entire studio with but kept “feeling” to bring along string and wire. I had hoped to move from 2D to 3D but had no idea how that would show up. I love to make things, and never felt brave enough to do any installations. When I was fully working with intuitive painting (as a way to heal my heart), I would often create an environment while painting, extending out from the flat paper. I interpreted this environments as creating a space for my Soul to grow out into. But as "art work" I was never brave enough to take up that much space. 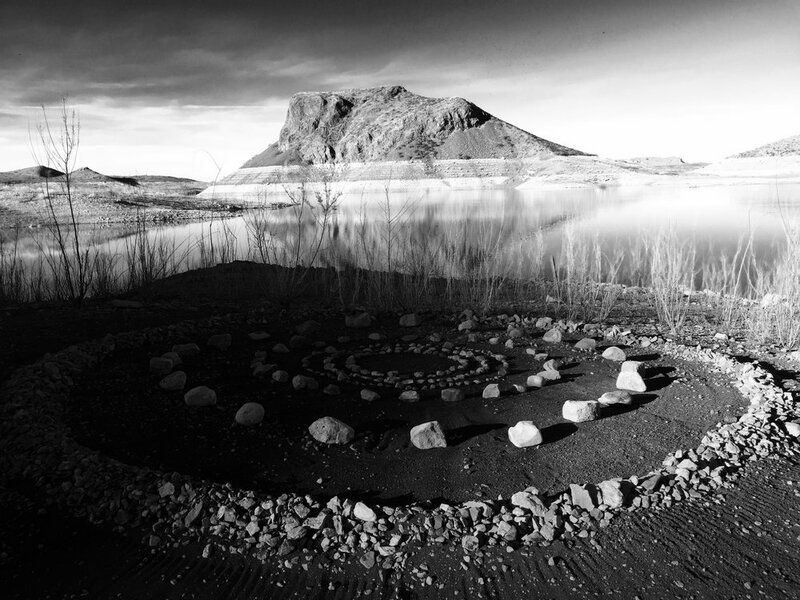 When I arrived at Elephant Butte Lake, I walked the Land and allowed the energy of Place to merge with me. 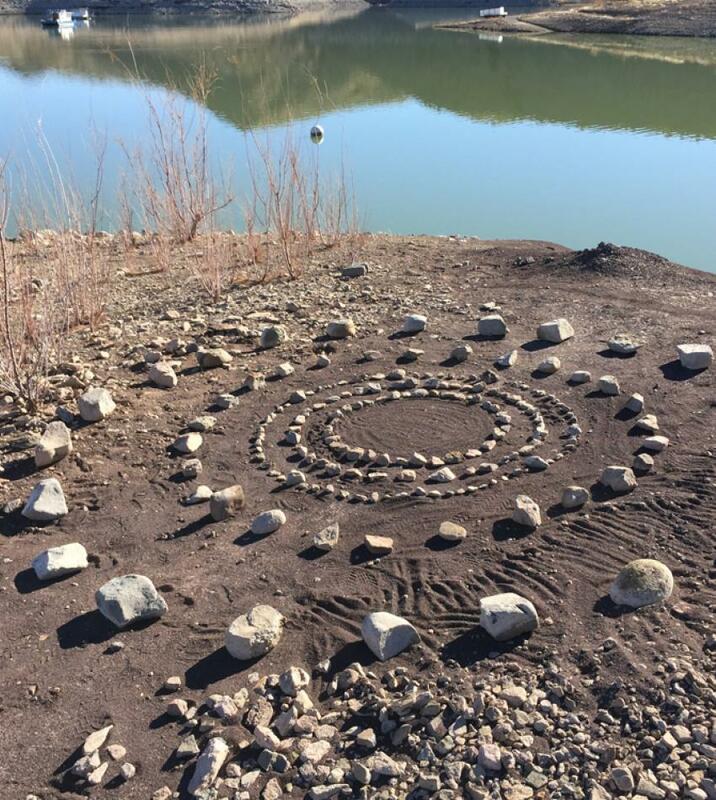 And I found a mound, that was graffiti with names (using rocks). 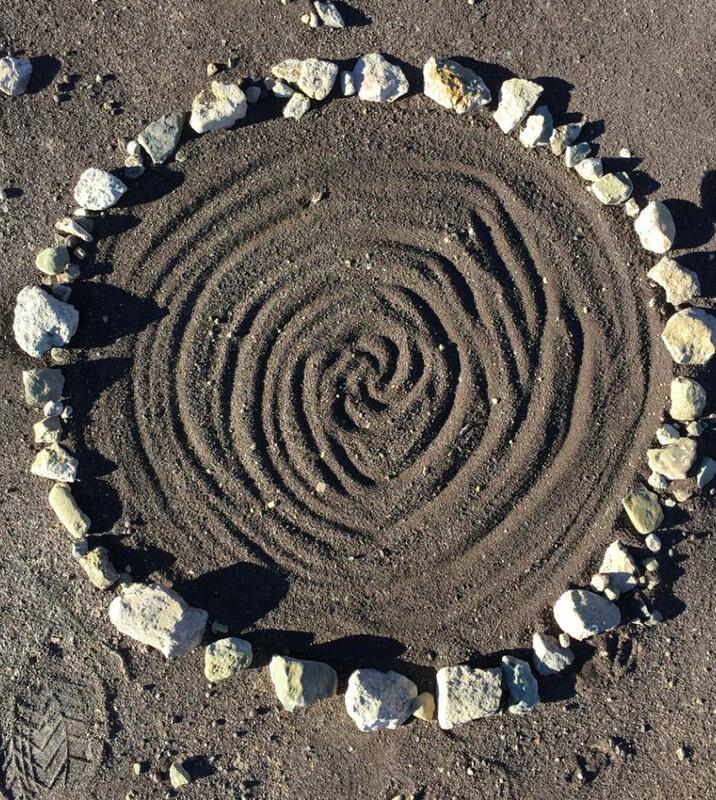 Before I know it I was picking up rocks and shaping them into patterns, “Portals”. The thing about trusting your gut is that your Being knows what is going on, way before your mind does (thank god! ).